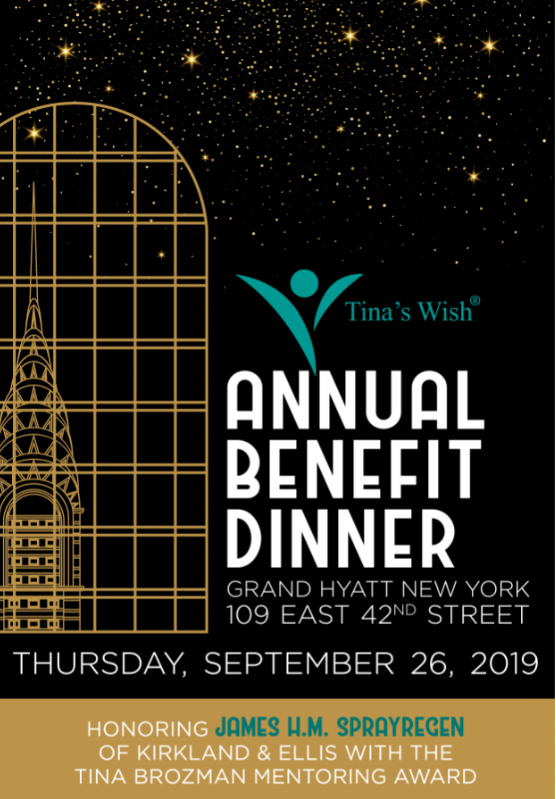 Join us Thursday, September 26th, 2019 at the Grand Hyatt New York for the Tina’s Wish Annual Benefit Dinner honoring James H.M. Sprayregen of Kirkland & Ellis with the 2019 Tina Brozman Mentoring Award. To learn more about our 2019 honoree, CLICK HERE. For a recap of our 2018 Annual Benefit Dinner, CLICK HERE. To register for individual tickets or to make a general contribution, CLICK HERE. Sponsorship opportunities are available. 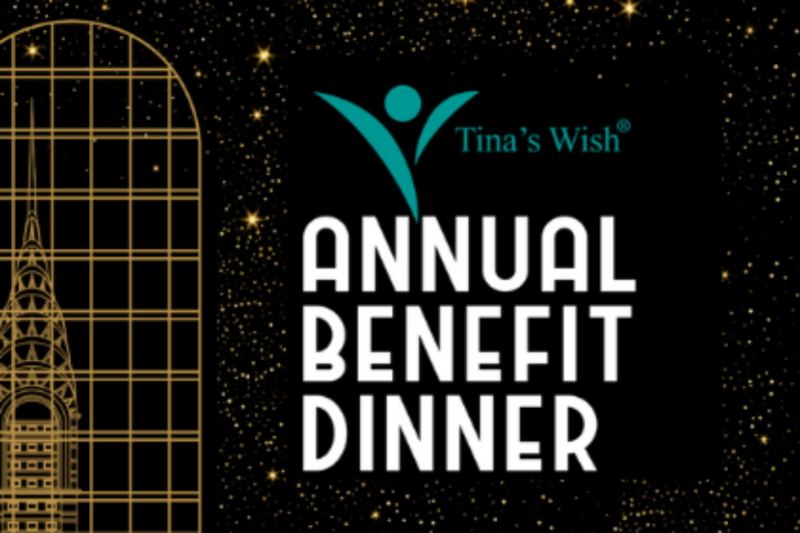 Please contact Beverly Wolfer, Executive Director, bwolfer@tinaswish.org, 212-880-5757 for more information or to make a pledge. Jeff Aronson, Centerbridge Partners, L.P.
© Copyright 2019 The Honorable Tina Brozman Foundation.